There's no fancy trickery with this shampoo, it's used exactly the same as your regular old shampoo. Apply a squeeze of it to wet hair, massage and rinse. I would recommend focusing some extra time just gently massaging the scalp with it though as it really helps to target the problem area (and it's a lovely treat for yourself, too!). The smell is really beautiful. It is a fresh apple scent that sounds like it could be childish, but it is like a pretty, grown up apple. The main thing I find with this shampoo is that it quickly helps with any itchiness, but then after only a short while the flakiness starts to fade too. However, I did encounter a couple of problems. Firstly, I find that it doesn't always feel as if it gives your hair a thorough wash. A few times after use I've found that patches of my hair still feel unclean, or go greasy very quickly. At first I thought it was down to not rinsing it thoroughly enough, but even after rinsing for around 3 times longer than I usually would it still happens. To counter this, I've found that even though I don't usually need to do a second wash with other shampoos, two washes with this one prevents any greasiness or unclean feeling after drying. Secondly, I found that after a few days, the shampoo wasn't as effective with the flakiness anymore. I didn't get any itching still, but there were noticeable flakes. I tried a couple of methods to counter this issue that I've found helpful. By using this shampoo for a couple of days and then using a different shampoo on the third day (specifically one that helps to moisturise dry hair/scalp), or even alternating them each day, it did a better job at keeping flakiness at bay. Another option that I go with sometimes is using a combo of two shampoos. As I stated above, I find that two washes are usually necessary. When combining the shampoos I start with the Philip Kingsley Flaky/Itchy Scalp and then follow it up with a second shampoo. I understand straight away that some of you reading this won't exactly be happy by the idea of needing two washes and two shampoos. This shampoo isn't one of the more affordable options in regards to clearing an itchy and flaky scalp, so having to use extra and even needing a separate product doesn't really make you want to jump for your purse. I would say not to rule it out so fast, though. In the past I've tried lots of different shampoos that are free of harsh chemicals, and over the last year or so I've been using ones more specifically aimed at treating a dry scalp. So far, this is the only one I've had any genuine type of success with. Yes, it's an extra annoyance to do extra washes or add extra products, but the same usually goes with skin issues too. Dry skin, oily skin and acne prone skin (as only three examples of course) all require a combination of good products to fix. It's easier for us to sometimes neglect the skin we don't see (as in this case, the scalp), but sometimes a bit of extra love is needed. So that's my fight for the cause, and if I waffled a bit (I do have a tendency to do that), the tl;dr version is this: takes longer, costs a little extra, but actually works in the longer-term. It's a great shampoo, and it's also fab for every day use. If you are at your wits end with a flaky scalp, I do highly recommend giving it a go. Sometimes that little bit of extra work really pays off. If you're hmming and ahhing after reading this, then Latest in Beauty currently have some 20ml samples available for you to try out before splashing out on a full bottle (and they have other awesome products to try out too, some of them full size! I highly recommend trying the Omorovicza Refining Facial Scrub too if still available at time of you reading this). 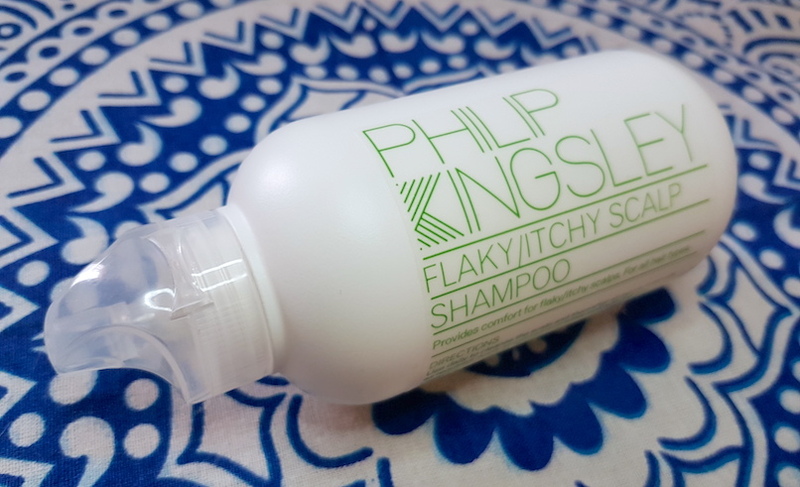 Otherwise, if I managed to convince you to give it a go, you can purchase the Philip Kingsley Flaky/Itchy Scalp Shampoo from Look Fantastic or Feel Unique. So what are your thoughts on the Philip Kingsley Flaky/Itchy Shampoo? What is your favourite product to alleviate an itchy, flaky scalp?